The 457 Visa Scheme has been replaced by the Temporary Skills Shortage (TSS) Visa for new applicants, but remains in place for existing visa holders. All 457 and TSS visa applicants are required to provide proof of suitable health insurance. Compare 457 & TSS visa health insurance policies below in two easy steps. The best value budget cover that meets 457 & TSS visa requirements is Frank minimum working visa cover. Frank is a subsidiary of GMHBA which was established in 1934 and has over 250,000 members. The fund is “not for profit” which means profits are not paid to shareholders. The fund on Product Review scored the best score of the 457 & TSS health visa cover funds with a score of 90% based on 238 reviews. Frank Overseas Visitor Health Cover is the recommended policy for those who don’t want to be treated in the public health system and want the option of having a private room. In January 2018 HIF launched Basic Working Visa Cover offering the cheapest 457 & TSS visa health insurance policy in Australia. To achieve this low price point the fund offers public or private hospital stays with option of a shared room. Each admission also incurs $500 per visit unlike Frank which is $500 per year for an individual. There is also a medical annual limit of $1,000,000 per person. Another reason HIF can offer such a low price is that they have age restrictions on their policy. Buyers of this particular policy must be under 65 years old. 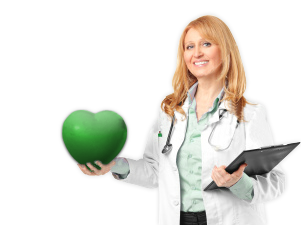 HIF is one of Australia’s oldest health insurers dating back to 1954. The fund has strong ratings on customer reviews on productreview.com.au with a rating of 66% from existing policy holders. The fund is ‘not for profit’ which means the income generated usually translates to either lower premium prices or improved services. Who Needs 457 & TSS Visa Health Insurance? The Department For Immigration and Border Patrol states that “it is compulsory for a 457 or TSS visa applicant to make plans for health insurance for themselves and accompanying family members”. Condition 8501 states that these visa holders (family members included) must also maintain their health insurance cover during their stay within Australia. All of the covers above meet this government subclass 457 or TSS visa requirement. 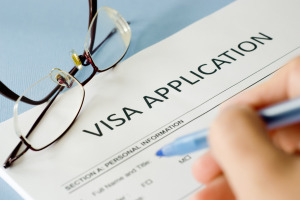 A letter which needs to be attached to the application is provided to policy holders after purchase (normally within 24 hours) as proof that the 457 or TSS visa applicant meets condition 8501. You may also want to consider adding extras cover. You can read more about who requires overseas visitor health cover here. When you have 457 or TSS visa health cover and make a medical claim (for example, after visiting a doctor) you will normally be paid the Medicare Benefit Schedule (MBS). This is the amount that a permanent Australian resident would receive if they were in the public system. The MBS will not necessarily pay for the full cost of seeing a doctor or getting treatment, as many doctors charge a rate higher than the MBS. In this case you will be ‘out of pocket’ for the difference. Most of the cheap budget 457 or TSS health cover policies above will pay 100% of the MBS while some of the more premium policies will pay either 150% of the MBS or the total cost of the visit. You can use the drop-down box above to view the more expensive policies. Is Overseas Visitors Health Cover Required For Those From Reciprocal Health Care Countries? Reciprocal health care agreements exist between Australia and a number of countries including the UK, Italy and New Zealand. This provides passport holders from these countries with cover for some medically necessary treatments for ill-health or injury during their stay in Australia. Individuals from these countries may meet condition 8501 if they are enrolled with Medicare which can only be done when they are in Australia. If you are enrolled you must provide proof that you have a Medicare card in your application. It should be noted that overseas visitor health cover provides a greater range of services compared to Medicare, and can pay for the gap between doctor and hospital charges and the Medicare rebate, to avoid substantial out-of-pocket costs. For more information on the key elements to a 457 & TSS Health Insurance Comparison see the FAQ page. If you receive Reciprocal Health Cover after you have purchased health insurance for 457 or TSS visa you may still choose to keep your policy. This is because overseas visitor health cover may provide additional benefits and because it can help you avoid the Medicare Levy Surcharge. This surcharge ranges between 1% to 1.5% based of an overseas visitor’s income and is avoidable if overseas visitor health cover is held. It’s strong recommended to talk to an Australian financial expert like an accountant before considering lapsing your overseas visitor health insurance. Transitioning From An Overseas Visitor To A Permanent Resident. When a 457 or TSS Visa Holder receives permanent residency they no longer need to have 457 or TSS visa health insurance , but they may receive penalties if they choose to cancel it. One of those penalties as discussed earlier is the ‘Medicare Levy Surcharge’ while another is called ‘Lifetime Health Cover’. This lifetime policy means that following your 31st birthday you will need to pay an extra 2% on your insurance premiums for each year past the age of 30 you choose not to have health insurance. Permanent residents are also entitled to a private health insurance rebate of up to 30%. These penalties often make it cheaper to be covered compared to paying the fees and charges. We recommend GMHBA based on the awards and reviews they have received and the fact the fund is ‘not for profit’ which means funds are re-invested each year into the insurer. Ambulance cover is another important factor you need to look at, as this something people should not without. Plus it is part of your 457 & TSS visa work requirements, so it is needed. You can find out more about that here. Just note, this is only for medical emergency journeys. Non emergency ambulance journeys (eg if you break your leg) may require you to pay the full amount. To avoid this ambulance membership may be advisable. All 457 & TSS visa medical insurance policies have waiting periods for visitor policy holders. This means that certain illnesses, ailments or conditions may not be claimable over the initial cover period if they are pre-existing. This pre-existing period may range from two months to three years and for some other elements such as accidental injury many 457 & TSS health funds waive any pre-existing waiting period. View our details waiting period article to understand how these work and what you need to know. It is critical to declare any pre-existing injury or condition you have when joining as the 457 or TSS visa health fund may ask the medical practitioner (e.g. doctor) to complete a report to see if treatment was from a past illness or injury. It’s worth viewing the new 457 visa training benchmarks released mid year. The TRA skills assessment 457 visa assessment program has been widened from some nationalities and occupations. The Trade Recognition Australia website has information for 457 visa applicants and the DIBP can request assessment for new applicants. The subclass 457 can be granted for up to 4 years on the STSOL. This will occur if needed to meet trade obligations and on request by the sponsor. An expansion to accommodate low-risk sponsors has been made. This is for applications that use the scheme occasionally. How do we compare Health Insurance For 457 & TSS Visa Holders? This 457 & TSS visa health insurance comparison was made on January 10th 2018 based on price, policy features stated on the 457 & TSS visa health fund’s websites and third party customer reviews. Policy prices and benefits are subject to change in the future, and while this website regularly reviews 457 & TSS health cover policies, we recommend that you verify policy details prior to making a final purchase. Each year most 457 & TSS visa health funds schedule price increases such as last year’s price rise and the this years price rise. This information comes from the health insurance providers websites (not through automation). Therefore, information provided is indicative and should be used for general information only. To make the most accurate comparison it is recommended that each individual policy is downloaded from the health fund websites and manually compared, factoring in elements such as pricing, benefits and waiting periods. 457 Visa Compared is rated 5.0 stars by 45 customers.